Doctor Palmer was born and raised right here in Mesa Arizona. He is a graduate of Mountain View High School and currently resides in Gilbert with his wife Mia of 29 years. They have five children and 3 grandchildren. He served an LDS mission in Mexico and loves taking care of Spanish speaking patients. He earned a bachelor's degree at Brigham Young University and received his dental training at The University of the Pacific School of Dentistry in San Francisco. 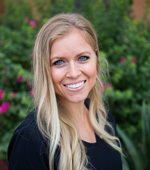 While attending UOP Dental School, Dr. Palmer achieved high honors by being inducted into the Tau Kappa Omega (TKO) and Omicron Kappa Upsilon (OKU) Dental Honor Societies. 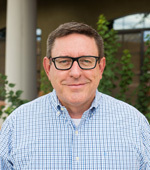 He graduated from dental school in 1995 and established Palmer Dental in 1999 and has been serving Arizona dental patients for the past 21 years. When he is not busy attending his childrens' Lacrosse and Volleyball games, he enjoys traveling, golfing, reading, cycling, cooking, and hanging out with his 3 grandchildren. Aricka Padilla is our office manager. 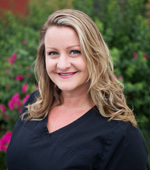 She started out as a dental assistant 18 years ago, and has been with Dr.Palmer for 17 of those years. Aricka wants to make sure every patient has an enjoyable experience. She has extensive experience in dealing with insurance companies, making sure she has all the information needed to maximize each patients benefits to the fullest. In addition, she offers amazing Customer Service, making sure each patient receives the gentle, personalized care that they deserve. Aricka is fun loving, hard working and versatile, offering many years of amazing front office and chairside experience. She adores her family and enjoys spending time with her husband, Danny and their 3 children, Madison-12, Makenzi-10 and Daniel-6. She and her family live in Queen Creek. Lisa is a proud Arizona native who was born and raised here in Mesa, Arizona. She married her high school sweetheart and now lives in Gilbert with her husband and their 3 beautiful children. Lisa earned her degree in Dental Hygiene in 2004. Becoming a part of the Palmer Dental family that same year, she has been with Dr. Palmer ever since. She loves that Palmer Dental is her home away from home! When she's not busy chasing her 3 kids, she loves spending time outdoors enjoying the beautiful Arizona weather, hiking and traveling whenever she can! 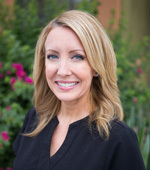 With over 15 years of experience in the dental field, Stacey's top priority is to help each patient achieve optimal periodontal health and is known to have an extra gentle touch. 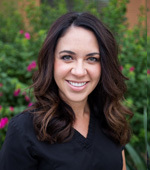 After 5 years as a dental assistant to a periodontist, Stacey was accepted into the dental hygiene program at Mesa Community College where she received her degree in 2007, and has been practicing dental hygiene with Palmer Dental for the past nine years. When she is away from the office she lives in Queen Creek with her husband and two daughters. Her hobbies include fitness, biking, cooking, travel, and spending time with family and friends. Linda has always had a passion for making a difference in people's lives and seeing them smile. Working in the dental field for the past 16 years has been a natural fit. She truly enjoys continuing education and learning about the latest advancements in dental care and technology. Her greatest joy at work comes from helping patients achieve their goals of bright, healthy, beautiful smiles! She is grateful to be working with a group of caring professionals who work together to help their patients every day. Linda lives in Chandler with her husband and two children. She enjoys reading, fitness and spending time with her family. Honest, quality dentistry with a strong focus on patient care is what attracted Jenny to Palmer Dental. 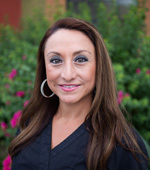 Jenny attended Pima Medical Institute for Dental assisting in 1997, and has been working in the field for 19 years. She loves learning about new dental procedures and improving the patient experience. Jenny is an Arizona native that lives in Mesa with her husband Randy, their two daughters, and a golden retriever. In her spare time she enjoys watching her daughters play softball and act, traveling, working out, and spending time with friends. She is excited to be part of this fun dental team.